When Winston Churchill was a boy of sixteen, he already had a vision for his purpose in life. "This country will be subjected somehow to a tremendous invasion ...I shall be in command of the defences of London ...it will fall to me to save the Capital, to save the Empire." It was a most unlikely prediction. Perceived as a failure for much of his life, Churchill was the last person anyone would have expected to rise to national prominence as prime minister and influence the fate of the world during World War II. But Churchill persevered, on a mission to achieve his purpose. 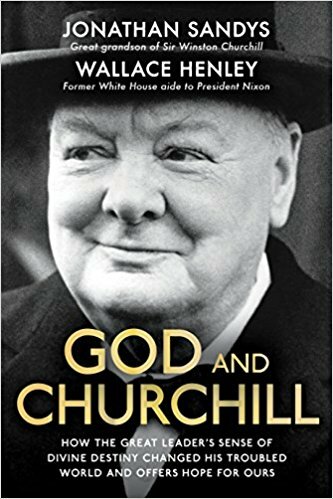 God and Churchill tells the remarkable story of how one man, armed with belief in his divine destiny, embarked on a course to save Christian civilization when Adolf Hitler and the forces of evil stood opposed. It traces the personal, political, and spiritual path of one of history's greatest leaders and offers hope for our own violent and troubled times. God and Churchill by Jonathan Sandy & Wallace Henley was published by SPCK Publishing in October 2015 and is our 13459th best seller. The ISBN for God and Churchill is 9780281075270. Be the first to review God and Churchill! Got a question? No problem! Just click here to ask us about God and Churchill.